Welcome to your new life…trust us you won’t look back. 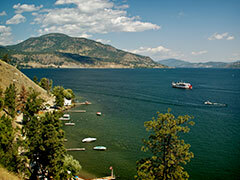 Looking to move from outside the Okanagan? Congratulations on coming to your senses and joining in on the fun! Looking to further capitalize on real estate through an investment property or home away from home? The Okanagan is the place to be and we can make it happen. Sage Agents can not only help you with this process but have been through it personally! Once we get a handle on the features you are looking for select properties can be previewed for you or even FaceTime’d with you to help make the most of your time. Ready to get started? Fill out the form below and then sit back, relax and take comfort knowing we are finding the right Agent for you.